John moved to Fort Smith when he was 12 years old. He lives in the Yellow House, where the club gear is stored and most paddling meetings take place! 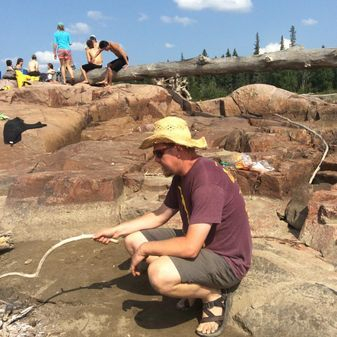 John has been paddling the Slave River Rapid corridor for a decade now, and is a good source of information for the different routes and water levels. Karl is a local paddler, mountain biker, firefighter, a bush camp\small engine instructor at Aurora College and an absolute fantastic volunteer. He knows the surrounding trails like the back of his hand and he is all about taking out the power tools to the trails to make them brush free and smooth! Karl is a real doer, thanks to him we have an outhouse at Mountain Portage, an outfitted trailer and more! Kevin is a long time resident of Fort Smith and an active town councilor. He is very involved with the Fort Smith Ski Club and was an important driving force behind the Arctic Winter Games host committee. 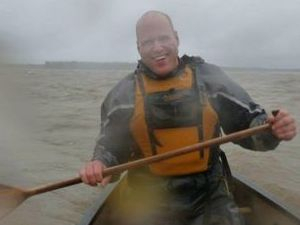 Kevin is a canoe instructor and his 3 kids are all involved in the local paddling scene as well. Renee moved to Fort Smith a few years ago as our local Speech Therapist, and quickly embraced the wilderness opportunities that are present in Fort Smith. Her and her spouse Joey got hooked to winter camping and ice fishing in the winter, spending many weekends out and about on the land with their snow machines. They spend many hours perfecting their canoeing skills and are planning canoe trips on various northern rivers, starting with the Nahanni in the fall of 2018. 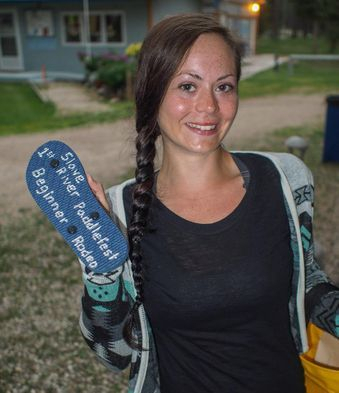 Robyn started paddling in the summer of 2014, and came to most club sessions. Dedicated and passionate, she got quickly hooked to the river and fine-tuned her skills over the winter with our regular Kayak-polo sessions. A lady with a big heart, she is always there when we need help! She is also very busy with her job as wildland firefighter for Wood Buffalo National Park. Natalie and her husband Leif have been regular summer residents of Fort Smith for almost a decade now. They both have competed in freestyle events such as the Whitewater Grand Prix. 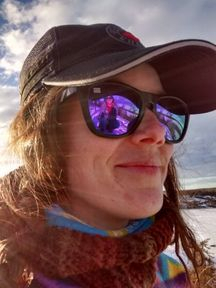 Natalie is extremely passionate about the Slave River, so much that she has made it the focus of her PHD thesis in Hydro-Geo-Morphology. It involves measuring the quantity of driftwood transported by the river, and she will be pleased to tell you all about it if you are interested. Leif and Natalie have a little toddler named Davis.